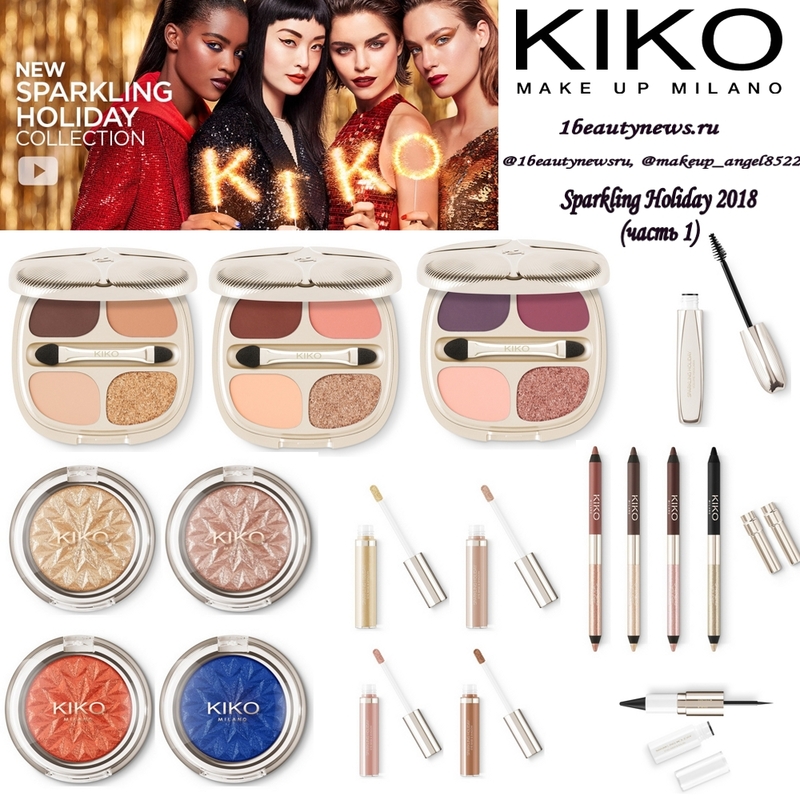 Kiko Milano presents a Christmas makeup collection Sparkling Holiday to create a stunning radiant image with which you will be the Queen of any holiday. The collection is very big, so divide it into 3 parts. In this part we’ll look at eye products in the collection of three four-color palettes eyeshadow Sparkling Holiday Eyeshadow Palette, four shades of mono eyeshadow with a metallic finish Sparkling Metallic Holiday Eyeshadow, four shades of liquid eyeshadow Sparkling Holiday Eye Base & Shadow, which can also be used as a base under shadows, volume and lengthening mascara with fibers Sparkling Holiday Volume Mascara in black shade, double-sided eyeliner-kajal for eyes Sparkling Holiday Eyeliner & Kajal in black shade, as well as four shades of bilateral eye pencil with a matte and metallic finish Sparkling Holiday Double Eyeliner. 04 Black & Gold Ice.